St. Petersburg, May 23-25, 2018. 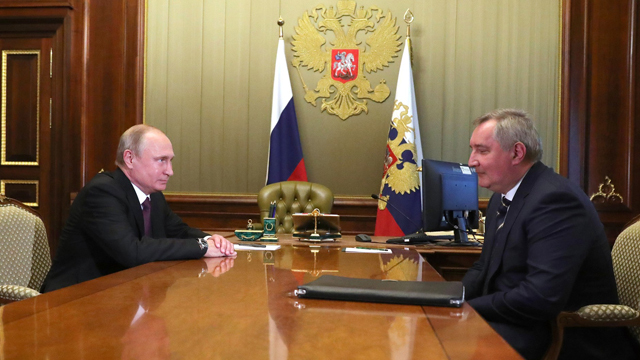 President Putin with former Deputy Prime Minister Dmitrii Rogozin. The president suggested that Mr. Rogozin head the Roscosmos State Corporation for Space Activities. (Trip to St. Petersburg, St. Petersburg International Economic Forum.) Photo: Russian Presidential Press and Information Office; cropped. CC BY 4.0. "[I]informational autocrats... recognize that violent repression in modern societies is costly and often counter-productive and that there's an easier way to survive as an authoritarian leader with concentrated power." 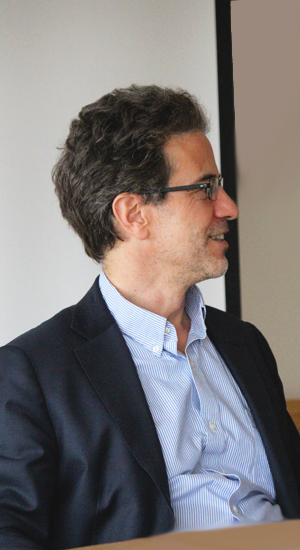 UCLA International Institute, June 6, 2018 — “Russia has a regime that was forged by a very dramatic modernization [in] the first 10 years of this century, but whose top officials now seek to reverse the social consequences of that development,” said Daniel Treisman at the UCLA Center for European and Russian Studies on May 24. “It's an informational autocracy in which a ruler aims to secure compliance, mostly by manipulating information flows and disabling potential challengers, rather than through large-scale violent repression and intimidation, although there is some of that,” he elaborated. Contributors to the volume include many well-known contemporary Russian commentators and analysts — among them, Anna Kachkaeva, Maria Lipman, Evgenia Nazrullaeva, Ella Paneyakh, Nikolay Petrov, Konstantin Sonin, Kirill Rogov, Andrei Soldatov, Catherine Schulmann, Anton Sobolev and Alexei Zakharov — as well as a number of junior scholars and graduate students from both Russia and western countries. The main motivation for the study, said Treisman, was to dispel imprecise images of the Putin regime that circulate widely in the media and public debates today. Although contemporary Russia has a strong leader, a centralized state, superpower ambitions and an aggressive foreign policy, Treisman rejected the notion that it is simply a modernized version of the Soviet Union. The Putin regime has no cohesive ruling party, no communist ideology and is far more open and capitalist than the USSR, he observed. While Russian politics and society are indeed characterized by massive corruption — “Nobody bothers to deny that anymore,” said Treisman — kleptocracy alone cannot explain a number of the regime’s policies. He questioned, for example, that the drive for self-enrichment accounted for such policies as the insurgency in the Donbass (eastern Ukraine), the intervention in Syria to support Bashar Al Assad and the impressive modernization of the Army that has taken place over the past decade. Treisman described an enormous, albeit incomplete, modernization in Russia between 1999 and 2011. Russian gross national product rose substantially (from roughly US$ 13,000 in 1999 to US$ 24,000 in 2011), wages and pensions rose about 11 percent annually, mobile phone penetration increased exponentially, educational levels rose significantly, computer ownership and Internet usage grew rapidly (by 2012, three-quarters of Russian households had a computer and 55 percent of the population logged onto the Internet at least once a month), more and more Russians traveled abroad and businessmen began to use Russian commercial courts to resolve disputes. Significantly, civic activism also began to emerge, especially with respect to environmental issues. A key feature of this response was managing political information flows. 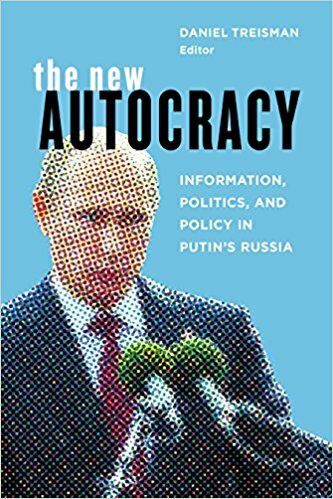 Treisman argued that Putin has in fact created a new model of autocracy — informational autocracy — an idea on which he has published elsewhere with Russian economist Sergei Guriev. Unlike the classic authoritarian leaders of the 20th century, who deployed mass violence to intimidate and subdue their populations, “Putin and other dictators like Hugo Chavez and Victor Orban are authoritarian leaders of a less violent, less ideological type,” said Treisman, “We call them informational autocrats. They recognize that violent repression in modern societies is costly and often counter-productive and that there's an easier way to survive as an authoritarian leader with concentrated power. Russian politics in the second decade of Putin’s rule has also, he said, come to operate via two systems: normal politics, or autopilot, and “manual control” (ruchnoe upravlenie), said the speaker. In the first, Putin does not intervene and policy making plays out as “a vicious competition between bureaucratic factions, business actors, regional elites and powerful individuals who fight among themselves for their own interests,” said Treisman. The resort to autocracy, even if of a less violent hue, and the alternation between governance by automatic pilot and direct intervention is causing the machinery of state to deteriorate. “The system works… but the way it works is less and less effective in most regards, not necessarily outside the country, but inside the country,” emphasized Treisman. In conclusion, Treisman judged the current political system in Russia as unstable, but not subject to immediate collapse. “It represents a balance between two forces: the transformational social impact of modernization and the attempt by the Kremlin to use modern media and technology to preserve an archaic structure of power,” he said. 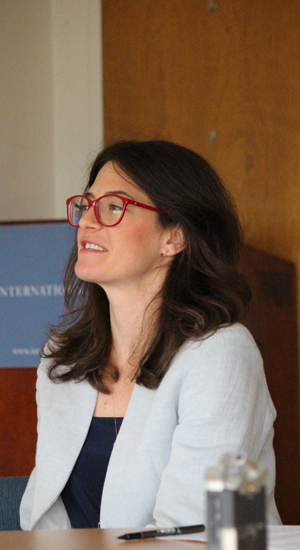 In her response to Treisman’s remarks, Bryn Rosenfeld (political science department, University of Southern California), welcomed “The New Autocracy” as an excellent and much-needed addition to literature on Russian governance post-2012. Rosenfeld offered several avenues for further discussion. She began by arguing that while important, the informational strategies explored in the book might be over-emphasized relative to economic co-optation strategies with respect to both the media and state workers. She pointed out, for example, that straightforward monetary incentives are offered to journalists who write pro-regime stories. Rather than generating support for democratic values, she commented, modernization in Russia (a top-down affair) might be expected more to impel social forces to “renegotiate their contract with the regime without endangering the regime’s hold on power” rather than make demands for fundamental political change. Finally, Rosenfeld turned to the implications of the book for the political science theories of autocracy and competitive authoritarianism. “The notion that Russian politics have increasingly moved from formal to informal venues is among the volume's central themes,” she observed. “Implicit — although the authors don't make this point directly — is a kind of critique… that speaks to the dominance in political science of scholarship on formal autocratic institutions [and]… the literature on competitive autocracies. *For more information about the team, see Russian Political Insight. **Russian parliamentary and presidential elections were held in December 2011 and March 2012, respectively. This article was originally published June 6, 2018. It was updated in a slightly shorter form on June 8.